Eva Wunderman is hoping her gold rush tale reaps a golden harvest this summer in Saskatchewan. Canyon War: The Untold Story, directed by Wunderman, has been nominated for a Golden Sheaf Award by the Yorkton Film Festival. The Yorkton Film Festival is Canada’s first film festival and the as longest running competition in North America. Established in 1947, it’s gone through several name changes and course corrections, but remained uniquely Canadian. In 1977, the festival moved to an all-Canadian film format. 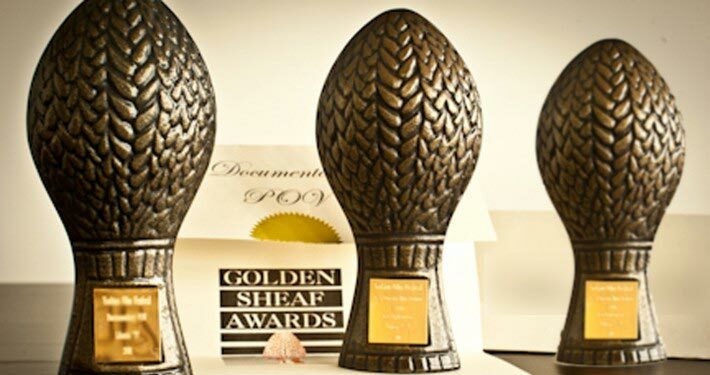 The Yorkton Film Festival awards the Golden Sheaf Awards in 21 categories. Canyon War: The Untold Story, has been nominated for best history documentary. This year’s festival kicks off May 26 and will showcase some of the best Canadian short film produced in the last year. The winners will be announced May 28. Canyon War: The Untold Story chronicles the First Nations-miner conflict in the Fraser Canyon during the 1858 gold rush. It’s vividly brought to life by co-hosts Kevin Loring (a Governor General Award-winning playwright and actor from the Lytton First Nation) and Dr. Dan Marshall of the University of Victoria. Loring’s ancestors resisted the thirty to forty thousand gold seekers who flooded into the Fraser River corridor in 1858 while Marshall’s forebears were among the gold-seekers. The film earned a platinum award at WorldFest, the Houston International Film Festival, in 2010. It took the top prize in the festival’s Television and Cable Productions Cultural category. The “Remi” award was the second major prize won by the documentary, which took honours at the New York International Independent Film and Video Festival (NYIIFVF) for Best International Director of a Documentary earlier in 2010. The documentary made its regional television debut on Knowledge in January 2010 and was broadcast nation-wide on APTN in September of that year. The documentary was shot on location in the Fraser Canyon in 2008, 150 Years after the war it depicts took place. It was made possible by a partnership between the Ministry of Aboriginal Relations and Reconciliation, Heritage Canada, CN and BC150 working in association with the New Pathways to Gold Society. The NPTGS is a community-based organization dedicated to continued reconciliation with First Nations, investment in B.C. heritage and economic development.